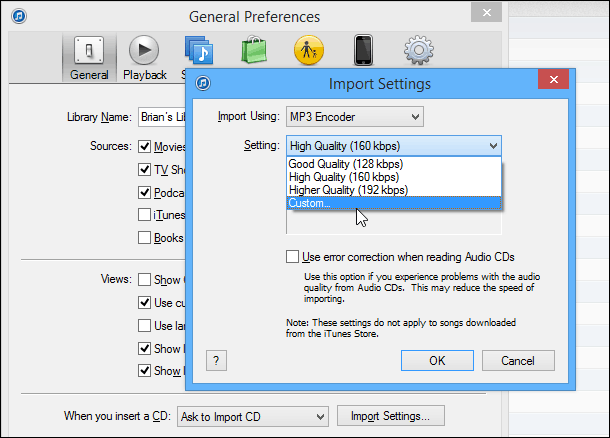 By default, iTunes rips your CDs to average sounding AAC files. 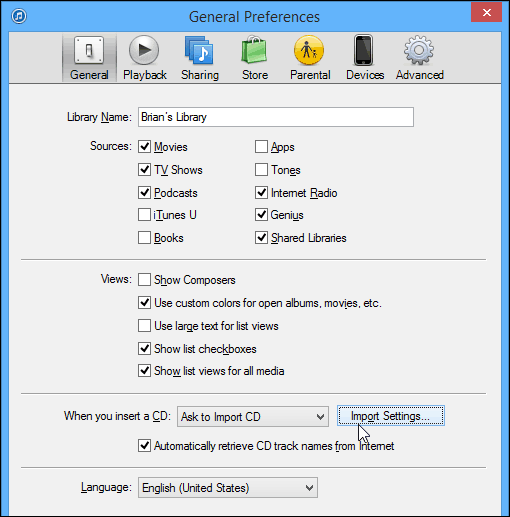 Here’s how to make it import your discs to the universally accepted high quality MP3 format. It’s been quite a long time since I’ve needed to rip a CD using iTunes, and the first time I did it the other day, I wasn’t impressed with the quality of the sound. 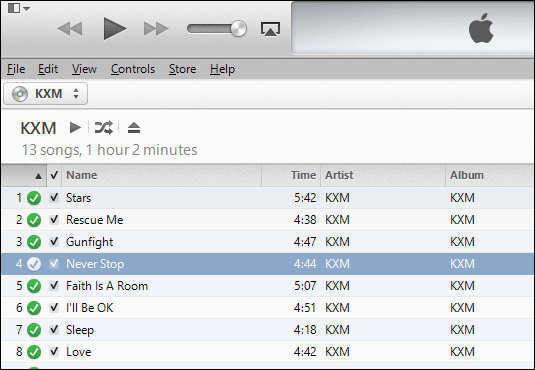 I forgot to change the quality of the imported songs…which you can easily do with iTunes. 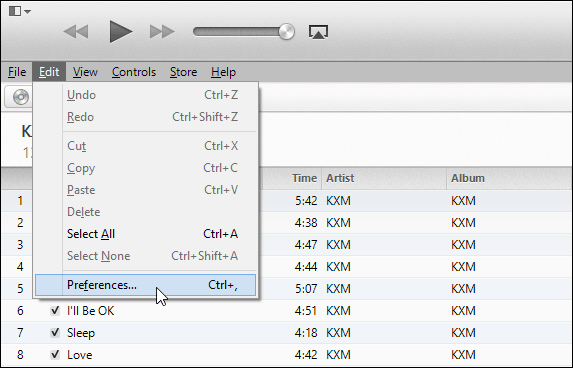 Note: Here I’m using the latest version of iTunes 11 for Windows, but the steps are the same with the OS X version. The menus just vary slightly. Open iTunes and go to Edit > Preferences. Then under General Preferences click the Import Settings button. Since you’ll probably want the album to play on any of your devices or desktop software players. 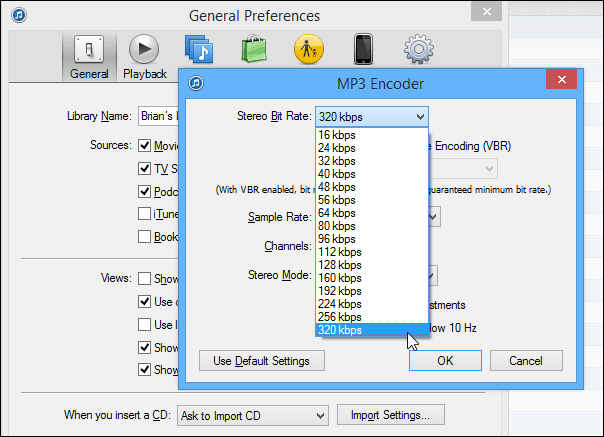 Change Import Using to MP3 Encoder from the dropdown menu. Then select Custom to get a higher quality setting than what’s offered. Remember that higher quality equals larger files and vice versa. Then on the next screen select the quality … I always make mine 320kbps, which will create larger MP3 files but they will be at good quality. Usually I prefer to rip them to FLAC and play them with Foobar2000. But the FLAC file format isn’t supported in iTunes, and I was ripping this CD for a friend. Then when you click to Import CD, you’ll see the settings you changed under the Details field. Click OK. If you want to use different settings for some reason, iTunes allows you to do that any time you click the Import CD button. There you go! Wait until the CD tracks are imported and then you can play them in iTunes or find your imported album. The default location on Windows is in your Music folder under iTunes Media. That’s unless you’ve changed the iTunes library location. Now you can zip them up and add to Dropbox or stick the songs on a device or add to a music player. In my case I added them to Xbox Music which analyzes your Music folder by default anyway. If you do end up plyaing your ripped tracks via iTunes, remember that the built-in equalizer lets you adjust the quality of your music too. I can’t agree regarding your AAC vs MP3 statements… At equal bitrates I’ll take an AAC over MP3 any day. From what I can tell MP3 attacks the high end alot worse than AAC, to the point where a 128Kbps AAC sounds roughly equivlent to a 192Kbps MP3. Over the years I guess I always used MP3 mainly for compatibility reasons mainly. Even though AAC is probably better quality….. I guess I’ve just been lazy to find out how that would impact my overall workflow of playing music around my house. Are AAC compatible with Sonos? I use Sonos exclusively now throughout my house and it pulls the music from my main PC where all my MP3’s are stored. Yup. AAC has repeatedly been reviewed as generally superior and recording at 320 kbps ensures great resolution for a compressed format. It is compatible everywhere the MP3 format is and is more space efficient to boot. For passive listening, the vast majority of folks will be happy at 256 kbps, but if you are truly “tuned in” the tradeoff of space to quality is worth it in my experience. People will argue about “the best” sounding file formats until the end of time. 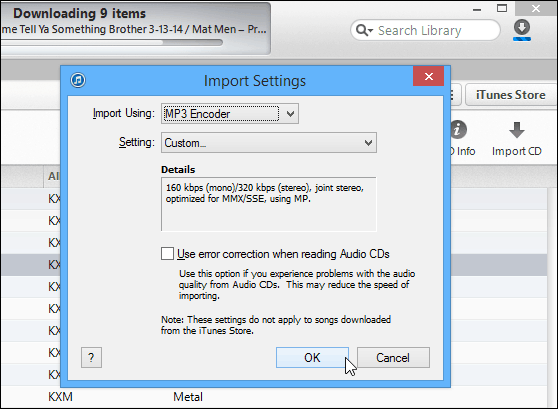 Like Steve said, MP3 is because it’s a lot more compatible everywhere. 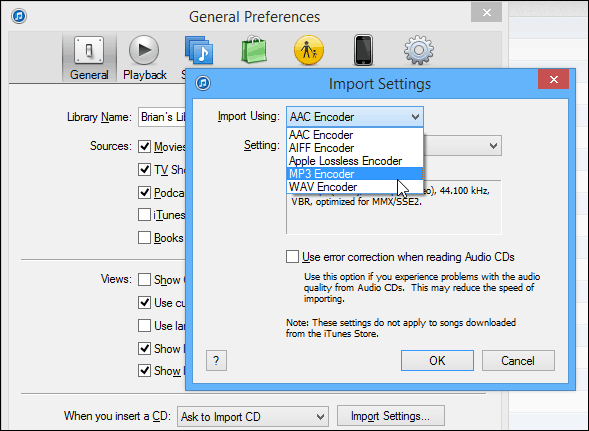 The default encoder is AAC and the default for MP3 is low unless you make a custom selection. 80% of my music collection is lossless or FLAC, and I’m excited to see what happens with the Pono device that Neil Young is championing. So Stuart, are you saying WAV was good quality or that mp3 was better? …I recently burned some CDs for a friend using iTunes and assumed that WAV was better than mp3 (I guess I assumed something got lost in the compression). Does importing songs as WAV files make them less likely to be compatible with cd players and other devices (compared to mp3)?